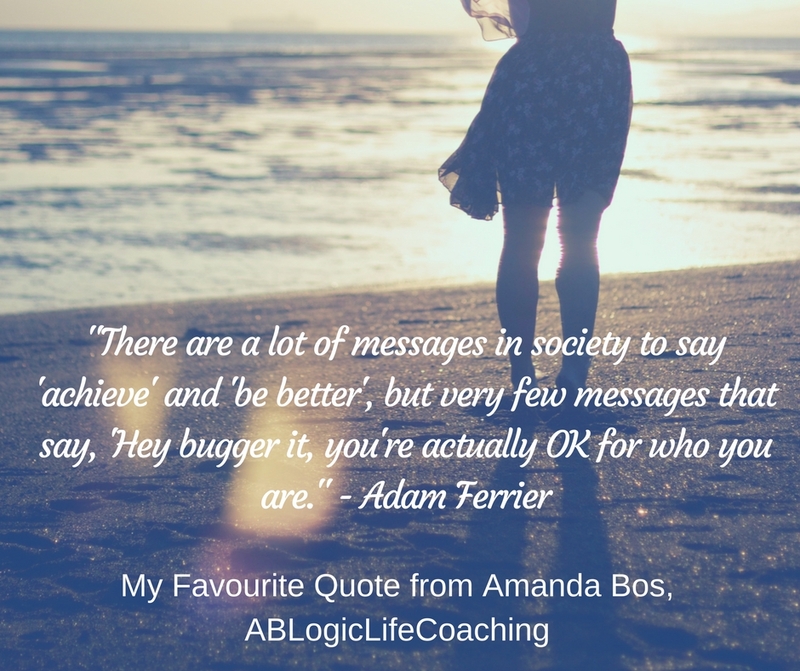 "There are a lot of messages in society to say 'achieve' and 'be better', but very few messages that say, 'Hey bugger it, you're actually OK for who you are." "This quote inspired me because as an Eating Psychology Coach and who works with men and women to help them restore healthy relationships with food, exercise and body I see a lot of people get caught up in all the "shoulds" about life. They 'should' be better, faster, slimmer, richer, wiser, more attractive.... And there are so many messages in our society which perpetuate this idea and fuel the belief in perfectionism and "not good enough" - The only person you will ever look like is yourself. Taking pride in your appearance is healthy however idealising & worshipping unrealistic images for "inspiration & fit-spiration" can be detrimental." Amanda Bos is an Eating Psychology Coach focused on restoring healthy relationships with food, exercise, mind and body through the philosophy and concepts of “Intuitive Eating.” Amanda is a Body Image Movement Global Ambassador - Celebrating body diversity and positive body image. 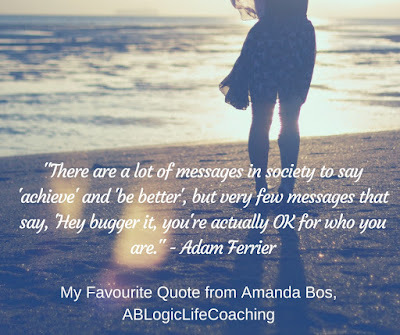 Learn more at www.amandaboseatingpsychologycoach.com.au or connect with Amanda via her Facebook page or on Instagram.